How quickly we reject something that we are told, just because we don’t like the source. We can also be quick to dismiss someone’s words if we consider them to be familiar and commonplace. Have you seen the recent news clips of graduation ceremonies with famous celebrities speaking to the Class of 2016? It struck me that when a celebrity gives advice about the very same things that the graduates have heard all along from their parents and teachers, the graduates seem thrilled by the “wisdom” of the famous speaker. Why do folks want to accept words of truth from a celebrity, versus someone from their family or hometown? The Nazarenes rejected Jesus. They could not accept him as the Son of God. 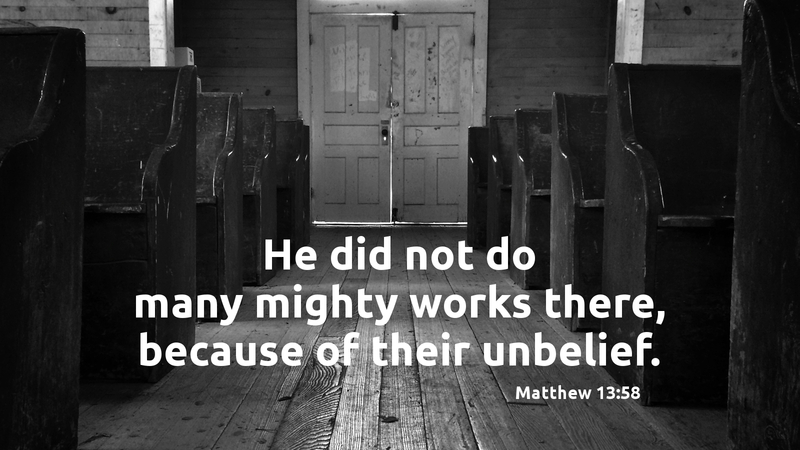 Despite Jesus’ words of wisdom, the people’s contempt for his humble beginnings led to their unbelief. What are our stumbling blocks that keep us from hearing the Good News with open hearts and minds? Prayer: Lord, Jesus open our hearts and minds to your truth, grace, and love so that we can respond in faith. Amen. Today’s devotion was written by Mike Warfel, NALC Pastor.